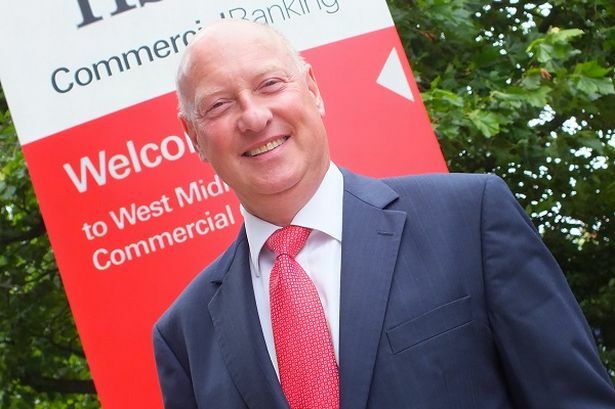 HSBC&apos;s Midlands regional commercial director Roy Harris is retiring after 40 years&apos; service with the bank. One of the Midlands&apos; most well-known banking figures, Mr Harris will leave HSBC at the end of September. In his current role, Mr Harris is responsible for eight separate area teams across the Midlands, comprising around 300 staff, and for supporting businesses with a turnover of up to £30 million. He recently played an integral role in introducing HSBC&apos;s £900 million SME fund for Midlands&apos; companies. Mr Harris joined the bank in 1974, starting in the Midland Bank&apos;s Five Ways branch in Birmingham as a junior clerk. He worked in several Birmingham city centre branches, before relocating to Sheffield in the early 1980s for his first managerial appointment as part of the marketing team that pioneered free current account banking. From there, Mr Harris moved to Southampton in 1985 to trial a retail banking partnership with Tesco, before returning to the Midlands in the late 1980s, where he had his first experience in corporate and commercial banking. After a spell as branch manager of the Five Ways branch where his HSBC career first began, Mr Harris took his first area director role in Worcester in 2003. He became area director of north east London in 2006, witnessing the area and the local economy undergoing significant change following the award of the Olympics to London in 2005, and returned to the Midlands in September 2007 to take up his current role. Amanda Murphy, HSBC head of UK business banking, said: "Roy has served HSBC with commitment and distinction for four decades, most notably during the past seven years as regional commercial director. "He is a hugely respected and liked member of the Midlands business community, and is known for his honesty, loyalty and consistency. "During Roy&apos;s tenure, HSBC has supported thousands of Midlands businesses, helping to create numerous jobs and boosting the wider economy." Mr Harris said: "I am extremely proud to have spent my career to date with HSBC and I am pleased to have completed 40 years with the company. "I have thoroughly enjoyed my various posts, which have given me enormous insight into how businesses operate, whether they are a small, medium enterprise or a multi-national global organisation. "The Midlands boasts some world-class innovative and creative businesses, led by some of the most capable and interesting business characters, and it has been a pleasure and a privilege to have played a role in supporting firms from across the region. "My time as regional commercial director, however, has been both challenging and rewarding in equal measures, particularly given the economic circumstances since 2008, which has been the toughest downturn Midlands companies have ever experienced. "It is only in adversity that the true strength and character of business shines through and we have seen that in abundance in this region in recent years."